Mice have become an all-too-common for people throughout the Fort Worth area, due in large part to the huge variation in weather throughout the year. The temperature and weather fluctuations send mice seeking shelter into homes and businesses all over the city. An infestation of mice can take a serious toll on your home and pose a very real health risk to your family. The following techniques will help you address your mouse problem, and keep them away for good. 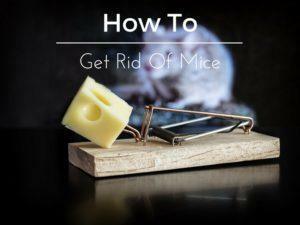 Find their Hideout – The first step in addressing a mouse problem is to find where the critters are hiding out. From there, you can cut off their food and water sources, seal off entry points, and set traps to begin thinning out the infestation. Snap Traps – These are the traditional ‘mouse trap’ that most people think of first. While effective, they often kill the mice instantly and can leave quite a mess. A professional will need to remove any carcasses to avoid the risk of infection. Glue Traps – Many people have mixed feelings on this method, as it is effective, but can lead to a slow and inhumane death for the affected mice. Live Traps – The preferred method for professional mouse trappers, live traps allow you to safely relocate the critters once caught. Poison should be used under no circumstance as it is dangerous to both humans and pets if handled incorrectly or consumed. Call a Professional – Once any mice have been isolated and trapped, they will need to be removed from your home or business. Handling them on your own puts you at risk of contracting dangerous infectious diseases, so it’s best to leave that up to a professional. 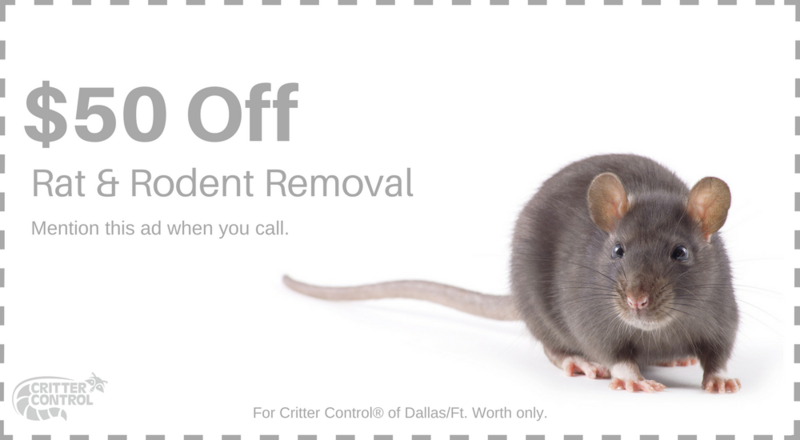 The safest and most effective option for mouse removal will always be using a professional service like Critter Control® of Fort Worth. Dealing with a rat infestation is not only frustrating, but it is also potentially risky as well. The longer they are allowed to live in your home or business, the more costly the damage will be. Call us today at 469-805-6267 to schedule your consultation.